Not all products and services are searched for online, although the general movement is from physical purchasing to purchasing on the Internet. The Organic SEO Bros analyze your product or service and study its online availability to gauge whether an organic SEO investment will be worthwhile for your business. Once our client has agreed upon our recommended key words or phrases, we can assess the progress of your competitors in the same field, advise you whether they have invested in organic SEO, and what investment it may take on your part to compete with them. There are two approaches to working with SEO competition: The first is by bypassing it. In many fields, the Internet is so widely used that your company can often find a particular niche with an optimal key phrase that is slightly less popular but just as lucrative. For example, instead of Los Angeles Photographer, you might find it easier and more profitable to target the phrase Los Angeles Portrait Photographer. The second approach in the SEO competition is a direct challenge, where you choose to compete with the most popular key word or phrase that suits your niche. 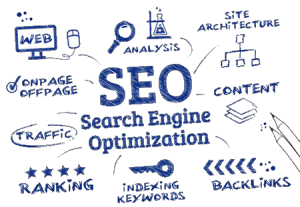 The Organic SEO Bros specialize in targeting highly competitive key words or phrases and have had good success in penetrating crowded markets online. Based on the previous two steps mentioned above, our Organic SEO Consulting services concludes the difficulty your online venture may encounter in targeting your chosen key word or phrase. Interested in hiring our Organic SEO Consulting services for your business? Contact us.